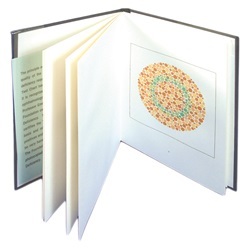 Ishihara Pseudo-Isochromatic 10 plate color deficiency test in book form. Used for illiterate patients, does not contain any letters. Comes as singles.